We service the entire Southern California region including Santa Barbara, Ventura, Kern, Los Angeles, Orange County, Riverside and San Diego Counties. We’re committed to helping you ensure a healthy and productive work environment. 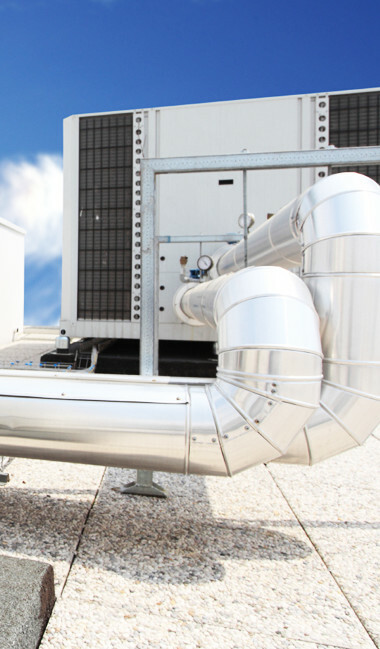 We also are advocates of green HVAC systems: Cutting Edge Services, Inc. installs the highest-performing, most cost-effective green HVAC systems available on the market today. In addition, we design and build clean rooms that meet or surpass your industry’s requirements. At Cutting Edge Services, Inc., we respond to all your needs with contemporary and innovative solutions that ultimately ensure worker productivity, are cost effective, and energy-efficient. FAQs: In 20 years in the business, chances are we’ve come across an issue just like the one you’re facing. Read about our most frequently asked questions and get the answers you need. We take pride in working with companies that do important work every day. We offer Maintenance Programs that enable you to take the responsibly of AC service, heating repair, and other HVAC-related issues off your plate so you can focus on your company’s bottom line goals. Follow the links below to find detailed and important information on how we can help your company run smoothly and efficiently. And you are welcome to call us any time, 24-hours-a-day with your questions or concerns at 310-344-8817. My association with Mark and Cutting edge goes back to 2002. Mark has been there all along the way with innovative and scrappy ways to get the jobs done quickly and for a reasonable price. I give my highest recommendations to Mark and Cutting Edge. Over 20 years experience in HVAC and Eco Tech Services. Based in Orange, California, Cutting Edge Services, Inc. provides commercial (HVAC) design, installation & repair services throughout Los Angeles, San Diego, Orange, Riverside and San Bernardino counties. Committed to helping you ensure a healthy and productive work environment, CESI will respond to your needs with stellar service and contemporary solutions. What is a Green HVAC system? How do we setup Clean Rooms? How long will it take to get a HVAC service? How do you prevent future Heating & AC emergencies? © 2016 Cutting Edge Service Inc. All Rights Reserved.